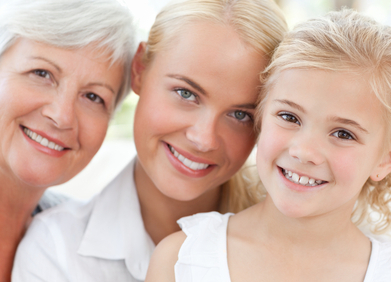 At L&M Orthodontics, we are committed to providing outstanding orthodontic care to patients of all ages. We believe that everyone should be able to feel the joy and confidence a beautifully aligned smile can provide. We recommend that patients bring their children in for their first orthodontic appointment at age 7 or 8. Not only does this acclimate children to orthodontic visits, but it helps us to diagnose malocclusion and misalignments early so they can be more efficiently treated. We are also happy to see adults, and offer special discreet orthodontic treatment options. Traditional metal braces have been used for decades to treat misalignment and malocclusion. Using metal brackets attached to the front of the teeth, and a wire that extends across the full arch of the smile, teeth are gradually moved into place. Each month, Dr. Calvin Lee or Dr. Samuel Meyrowitz adjust the metal wire and the small rubber bands that hold it in line on the brackets. Our team will teach you how to effectively clean your traditional braces at home so you can maintain a clean, healthy smile during treatment. Clear braces work exactly like traditional metal braces, but are more discreet because they blend in with your teeth. The brackets and initial wires used for clear braces are clear or tooth-colored. This orthodontic treatment moves teeth in the same way as traditional braces: the hardware is gradually adjusted each month until a patient’s teeth have reached their proper alignment. After treatment is complete, our orthodontists will provide removable or permanent retainers to maintain alignment. Invisalign® is a unique orthodontic treatment option that many patients choose today in lieu of traditional metal braces. 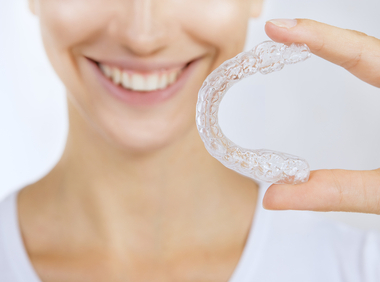 Invisalign® uses clear plastic aligners that fit snugly on top of a patient’s teeth. 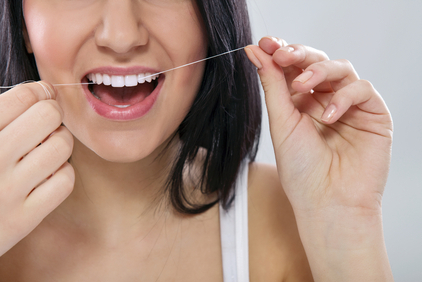 Patients wear their aligners 22 hours a day, removing them when they eat or clean their teeth. These aligners are not only discreet, but also comfortable and effective. Patients exchange their Invisalign® aligners every two weeks for a new set in a custom series, moving step-by-step toward proper alignment. At L&M Orthodontics, we use advanced technology to make your dental care faster, more comfortable, and more convenient. AcceleDent™ is an amazing tool that uses micropulses to expedite the bone reshaping process that occurs during orthodontic treatment. AcceleDent™ allows you to achieve your desired results much more quickly. We also offer temporary anchorage devices (TADs). These miniature temporary implants serve as anchors that contribute to the movement of other hard-to-align teeth. We also provide digital X-rays for diagnostic and treatment purposes. Dental retainers keep your teeth in line following orthodontic treatment. Drs. Lee and Meyrowitz will determine whether a permanent retainer, which rests behind your teeth on one or both arches, or a removable retainer is right for you. Retainers keep your smile looking beautiful, and prevent the return of malocclusions, which can cause dental wear and jaw pain. Oral hygiene is essential to successful orthodontic treatment. Without proper at-home hygienic care and regular visits to L&M Orthodontics, plaque bacteria can collect in and around your orthodontic appliances. This bacteria causes decay, which can lead to a variety of problems. If left untreated, the accumulation of plaque bacteria can cause cavities, tooth discoloration, gum disease, and even tooth loss. Our team will teach you proper hygienic techniques so you can keep your smile healthy during your orthodontic treatment.